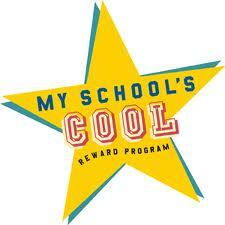 The MY SCHOOL’S COOL is up and running again at the Burbank Town Center. Earn money for Miller Elementary School just by saving your receits from the Burbank mall. Just put them in the box located at the school lobby on the counter or in the lockers outside of Burbank Mall security office and mall management office, both located on the first floor of the mall next to Old Navy with our school name on the outside of the lockers. Please, start saving your receipts to earn money for our school. The top school from September to December 31st will earn $500.00. At the end of the program, the school with the most points can win up to $5000.00! Each dollar at the mall earns the participating school one point. Receipts will be rounded to the next dollar at 0.51 cents. Example: New York and Company purchase of $15.75 will be 16 points. There will be opportunities to earn DOUBLE points which include both double point retailers and double point shopping days. Miller can also earn 100 extra credit points for each new fan or follower of the Burbank Town Center page. Just print out the page and turn it into the box in the Miller office. TURN in your January Receipts! Double points stores were Carters and AMC 6 & 8 brings in .